QR Code or Quick Response Code is a two-dimensional barcode that can be read by modern smartphones and special QR Code scanner devices. A QR code consists of black squares arranged in a square grid on a white background. There are several variants of QR codes depending on their symbol size, layout, encoding, and structure. QR Codes can be used to encode various types of data like - simple text, urls, phone numbers, sms, geolocation, email address etc. The text that is encoded using QR Code can be read and interpreted by any smartphone and qr code scanner devices. But, What if you don’t want everyone to read, what the QR Code is representing ? Before generating QR code with any text, encrypt the text using any cryptographic algorithm with a secret that only your application has access to. Generate QR Code with the encrypted text. Now, even if someone scans your QR Code, they will get the encrypted text which they can’t decrypt unless they know the secret which was used to encrypt it. But when you scan the QR Code in your application, you can decrypt the text using the secret and get the actual data stored in the QR Code. I am considering two apps (famous in India), PayTM and Tezz are providing QR codes, but we cannot read the QR code of a PayTM using Tezz, if we try it fails to parse the exact information, vice versa. Note : I do not support online / mobile wallets, if everyone starts using the mobile wallet then Internet providing companies will increase the data charges. Below are the few QR code formats, PNG format will be more helpful and they can be easily resized. This implies that you can scale the QR Code very easily depending on where you want it to be. We would be reading QR code which is stored in Image format in this tutorial using selenium and java. We can read the QR code using Zxing Jar files, which we have integrated in the previous step. 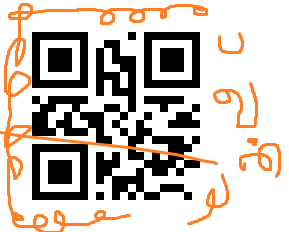 I have painted to show that how much disturbance can QR code can have without disturbing its content. 1. Have the QR code image ready in your local machine, download below Image. I have stored cherchertech as the text in the bar code. 2.Create a File object for the image, so that the system understands the image as File. 3. So far we are calling a thing on the computer as an image, in above step we have converted that thing into File, Now we should make the system to understand that the File is Image. We use ImageIO classes to read the file into an image. 4. Now we have to clear all the other parts in the image, and convert the image into bitmap. 5. Decode the details from the bitmap, and store it in Result object. In below code we are extracting only the text. 6. Now compare the text retrieved from the image with expected image. 1. 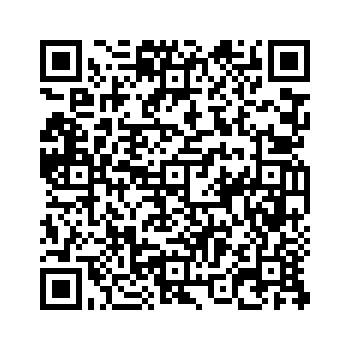 Navigate to the webpage where the QR code image is present. 2. Find the element using its locator (used id locator for this example) 3. Every image will have a src attribute, and this nothing but url on which image is present. 4. Create an object for the URL class, using the src value. 5. Pass the URL class object to the ImageIO.read() method. Sometimes you might have a website, where you don't have src attribute for the QR code image, or the QR Code is not an image at all. In such cases, we should take the QR code element as Screenshot and then we should create Image of it in Java using ImageIO class. Warning : You might encounter "java.awt.image.RasterFormatException: (y + height) is outside of Raster" exception if the element is not inside the viewable area of the desktop, use scroll to bring the element to bring into view. 5. Pass the image to the ImageIO.read() method. //Locate Image element to capture screenshot. //Capture entire page screenshot as File. //Used TakesScreenshot, OutputType Interface of selenium and File class of java to capture screenshot of entire page. //Used selenium Point class to get x y coordinates of Image element. //get location(x y coordinates) of the element. //Used selenium getSize() method to get height and width of element. //cut Image using height, width and x y coordinates parameters. //save Image screenshot In D: drive. So far we have practiced with simple text QR code, but in day to day life we will have little more complex QR Code. In the below image, I have Stored my details in meCard format, it is similar to vCard but meCard is more compact. 1. Open Webpage , Find the QR code element and get src attribute. 3. When getting the text, you will see some text stored in the QR code in Raw format. 6. I have stored in the details in the map as keys and values for future purpose. Similar to QR Reading, we can also create QR Code images and supply it for other purposes; <Creating QR code is simpler than reading an QR code. 1. Create object of the QRCodeWriter class. A barcode is a square or rectangular image consisting of a series of parallel black lines and white spaces of varying widths that can be read by a scanner. Barcodes are applied to products as a means of quick identification. They are used in Libraries, retail stores as part of the purchase process, in warehouses to track inventory, and on invoices to assist in accounting, among many other uses. There is no be much difference between QR code reading and barcode reading, the only difference is you need to provide the Barcode image path instead of QR code image. Similar to QR code generation, we can create Barcode using zxing jars, The only difference is, you need to create an object to Code128Writer class. Call encode method from the Code128Writer class object and Content, Type of barcode, height, and width of barcode. Note: Similar to QR code reading you can use all the different ways to read Bard like reading from the website and from url.